I processed three very different images today from last week’s trip to the Lake District and then couldn’t decide which order to post them in until I saw the forecast for more rain and a news item about the Flood Alerts that are now posted for most areas of the country. There’s a gigantic Low pressure area planted right over the UK at the moment (and it’s not going anywhere else fast), courtesy of the remnants of Hurricane Nadine. Sometimes I am so grateful that we live on the top of a hill. So, the weather and the Flood Alerts decided it. Today’s post is of water. This image is of the upper reaches of the River Rothay that at this point is linking Grasmere and Rydal Water and will eventually empty out into the northern end of Lake Windermere – the largest of the Lake District’s lakes. Please click on the image for a better quality enlargement. I rarely carry a tripod, or ND filters – and both were absent on this day – so this shot was a DIY one. I dialled in the lowest ISO and that allowed me a quarter-second shutter speed. A convenient tree provided the brace and here’s the best of about 10 shots. What I like about this one is the way the water seems to be woven together. What it lacks (conventionally) is that one solid stationary rock or a bit of bank to anchor the shot. But In the image’s defence I would say that it is the flow and the water’s texture that is the image. I tried converting to B&W but that only served to prove how important the small amount of colour in this shot is to the success of the image. Next up, tomorrow: some undulating hills. Don’t miss them. This entry was posted in Landscapes and tagged Lake District, Long Exposure, Photography, River, River Rothay, Water. Bookmark the permalink. You did very well, great shot, as far as the weather, I’m not looking forward to my helicopter ride this morning. Thanks Mark. The weather forecast looks horrendous. Stay safe in that helicopter. i agree it looks amazing. I like it too. I generally do carry my tripod and filters. 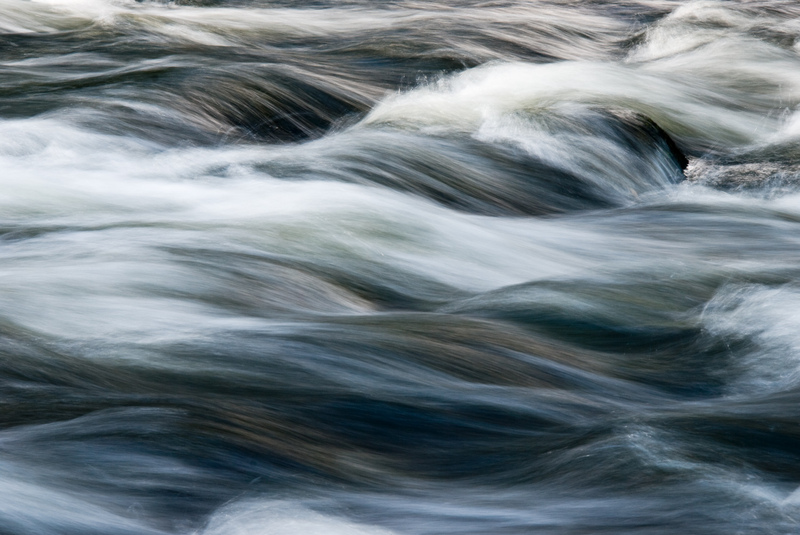 This may have led me to end up with the too slow a shutter speed and losing the sense that it is fast flowing water. Thanks for commenting. An interesting point – I just had to make do with the shutter speed the camera allowed. So I can’t compare other exposures. But I’m happy with the result I got – lucky maybe! I really like this too Andy. Not only does the water look woven but the light is creating different colored banding that makes this look and feel painterly. Well done. Wow, this water has great detail, Andy. Very nice, man. The photo is not lacking for anything. It’s perfect just the way it is. Really nicely done Andy especially without an ND filter. Really does look woven and the light enhances the look. Beautiful image, Andy. I love that natural flow. And I think the contrasting lines of the flow actually do anchor the shot. Nice job! Wonderful image! Love the strands and textures! Nature’s abstract minimalism! GREAT photograph, Andy, this one is totally top drawer! Thanks Toad. Minimalism is a good word for this – nature certainly did all the work here in weaving the water – something you can’t visualize when you press the shutter (nor easily see on a small camera screen).